Do you love free printables? 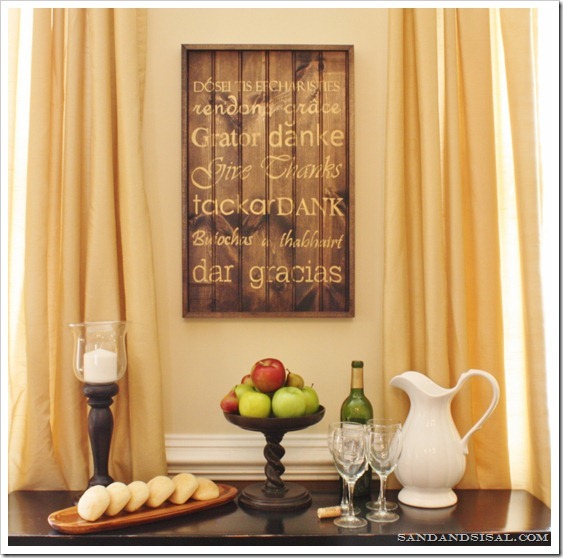 Printable are an easy way to add instant art to your home. 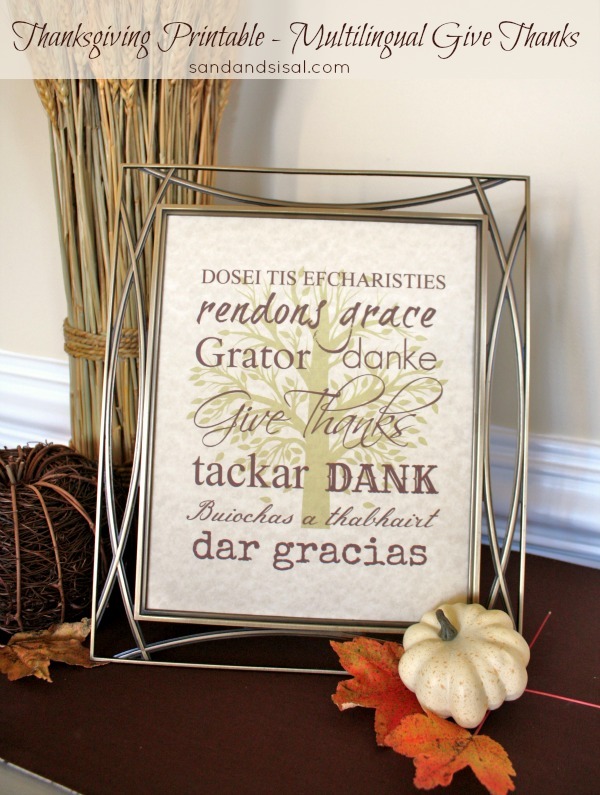 I’ve created a Thanksgiving Printable for you which says Give Thanks in 9 languages. It reflects the words from my DIY Give Thanks Subway Art as seen below. It will open up the PDF file and then click the printer icon and print it out. I suggest printing it out on card stock paper. My card stock is was a mottled creamy color. I then trimmed the edges to fit into any 8×10″ frame. Thank you so much for the print. I going to use it for a hostess gift for my Aunt that is always so gracious each year and cooks a wonderfull Thanksgiving meal. Love this! What a fabulous idea 🙂 Thanks for sharing!! I knew there was a reason I hadn’t found something to go in the frame I change with the seasons. Thanks so much for sharing!